Rwanda - Efforts to combat human trafficking in Rwanda received a significant boost on Wednesday (18/01) following the signing of a USD 1.36 million project agreement between IOM and the United States Agency for International Development (USAID). The two-year project: Improving Knowledge, Enforcement and Coordination in Counter Trafficking, implemented under Rwanda’s One UN Framework, will strengthen the capacity of the government and civil society organizations to effectively respond to cases of human trafficking. The project, which will be jointly implemented by IOM, UNFPA, UNICEF and UN Women, in coordination with Rwanda’s Ministry of Gender and Family Promotion, will undertake comprehensive research on trafficking trends in Rwanda. Training will be provided to civil society organizations and national academic partners to enhance their awareness of human trafficking issues and support research on human trafficking in the country. The National Action Plan on Human Trafficking will be updated and law enforcement officials given training and improved equipment to detect trafficking activities, identify and refer trafficked persons and effectively contribute to the prosecution of perpetrators. In addition, the project will help the Government of Rwanda to effectively coordinate efforts to implement existing anti-trafficking legislation, policies and regulations. IOM Rwanda Chief of Mission Catherine Northing welcomed the funding and the collaboration with UN partner agencies, noting that they would provide a platform for comprehensive outreach to victims of trafficking and build links with institutions that can provide help. “The One UN partners are grateful to USAID for their support and we look forward to working with the Ministry of Gender and Family Promotion, as well as other government partners, to combat human trafficking in Rwanda and to ultimately contribute to more prosecutions of perpetrators and fewer cases of human trafficking,” she said. 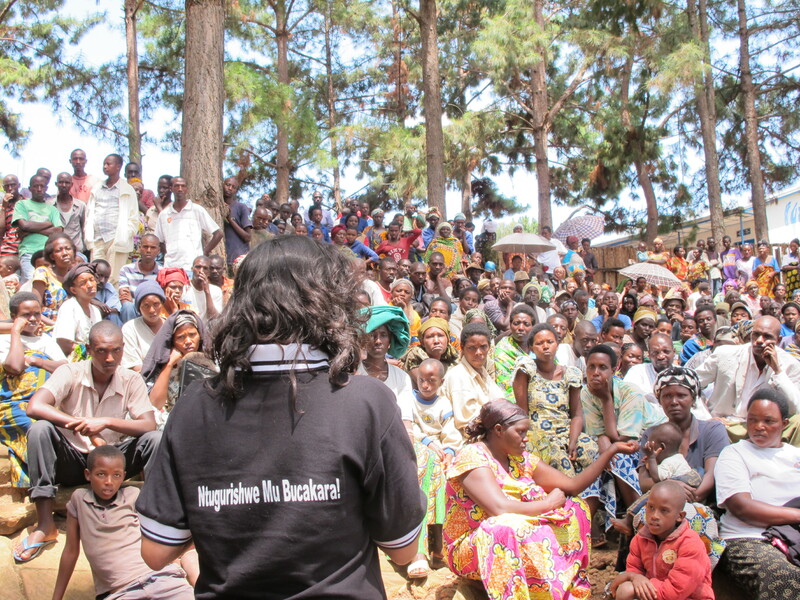 Rwanda is committed to ending trafficking in persons and has adopted national legal frameworks and internationally accepted standards for addressing the crime. The efforts have been championed by Rwandan President Paul Kagame.